^ Defense Security Cooperation Agency. 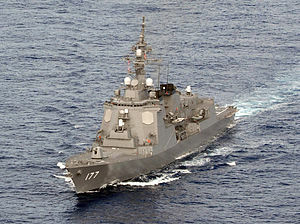 JAPAN – AEGIS Shipboard Weapon System (PDF). 2002-04-30 [2010-03-17]. （原始内容 (PDF)存档于2012-01-14） （英语）.